As your family member ages, it can be difficult to discern if they need additional help. When signs of difficulty with independence arise, many people wonder if they have to wait until a medical problem forces a senior into an assisted living or skilled nursing facility before they can get needed help. But that’s why home care exists. Home care, which is not medical assistance, fills in when aging adults’ ability to live independently begins to wane. 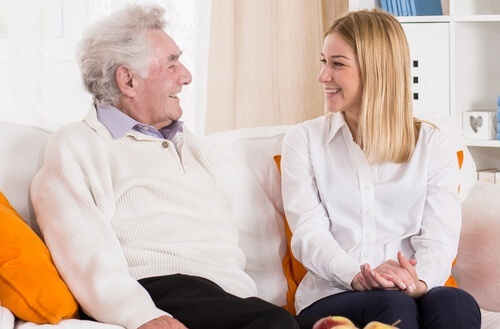 Caregivers offer a range of services to enable seniors like your loved one to get the help they need so that they can enjoy the comforts of home on their own terms. Activities of daily living performed by an independent person range from bathing oneself to doing the laundry to driving. Often, seniors begin to find certain activities like these burdensome. They may ache every time they have to stand at the sink and do dishes. Taking a shower may make them feel unstable and cause concern for their safety. Many seniors find asking for help challenging. Concerned for their dignity or fearful of being sent to live in a facility, they may prefer to neglect necessary activities than to speak up. Home care is a solution that allows seniors exhibiting neglectful behaviors to remain at home but in a healthier, safer manner. For some seniors, daily activities aren’t impossible to perform, but they can be too much to handle. Your family member may be able to do the dishes, complete the laundry, and pick up around the house, for example, but may find those basic activities so exhausting they can’t keep up with tasks like getting groceries or seeing friends. Age has a way of slowing people down. While having trouble keeping up with life demands may seem minor, the issue can become significant. Aging adults who have difficulty keeping up are more likely to experience anxiety or depression. They may be at greater risk of injury from overexertion. Further, they may not find time for essential activities like making regular appointments. Talk to your aging family member if they seem overwhelmed or overworked: home care may be a relieving gift to them. 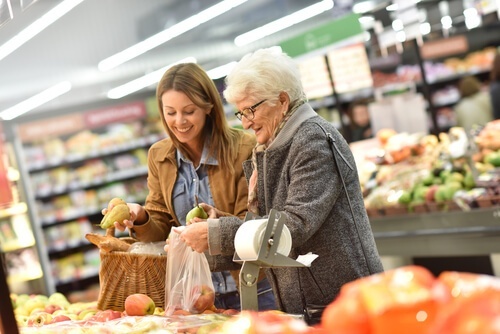 When an aging adult is first diagnosed with a disease like Dementia or Diabetes they may be able to live on their own healthily. As many diseases progress, though, independence can become unsafe. Diseases that progressively impair mobility, stability, mental health, or memory are particularly risky. If your loved one has a disease that affects these functions, pay special attention to how the symptoms progress. Be prepared to hire a caregiver when the disease impairs your family member’s ability to live on their own. It is common for aging adults to experience loneliness and depression. Often, their senior friends move into assisted living homes, move away to live with family, or have passed away. Getting out and about may be challenging. Independence can lead to isolation. There are many other symptoms of depression. Be on the lookout. Depression isn’t a necessary consequence of aging. Your loved one may find a home care service like companionship helps restore their joy and emotional health. A caregiver who provides transportation services may enable your family member to socialize more. If you notice any of these signs that your loved one is struggling with living alone, consider learning more about home care services. Help from a caregiver may be just what your family member needs to better enjoy their independence.